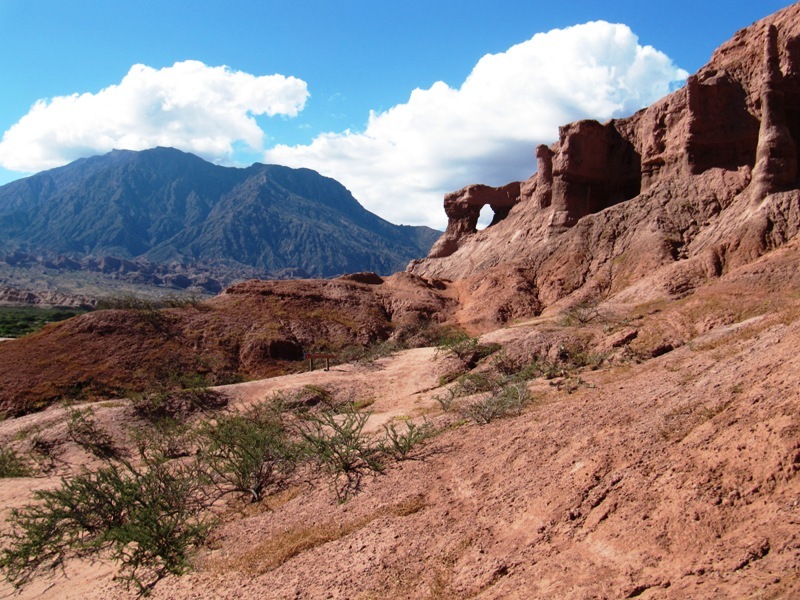 Entering into Cafayate we experienced a drastic change of scenery. Grass covered hills transitioned to brilliantly red cliffs and cactus filled valleys. I could not help but be reminded of the drive from Las Vegas to Zion National Park. The beauty was similar, but exciting and special in its own way. 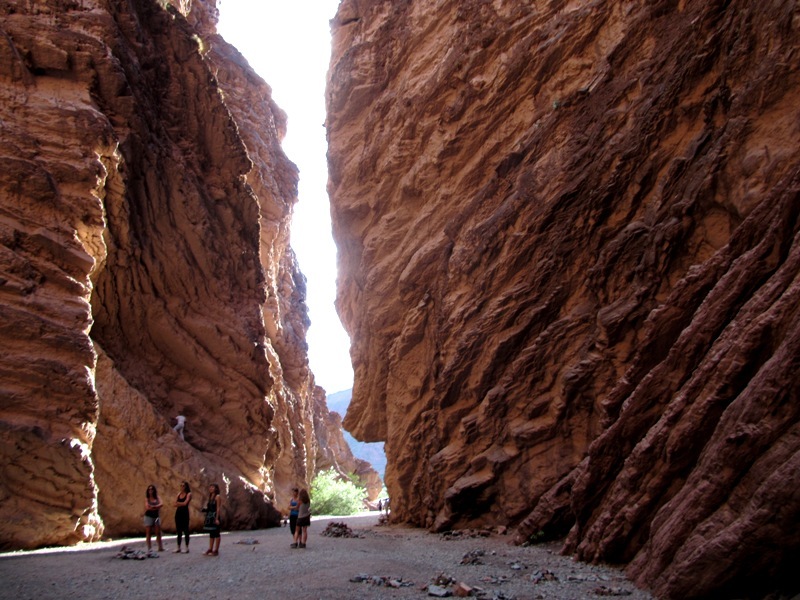 The quebrada (canyon) extends almost 110mi (180km) between Cafayate and Salta. Every two to three miles and new rock formation emerges from the earth. 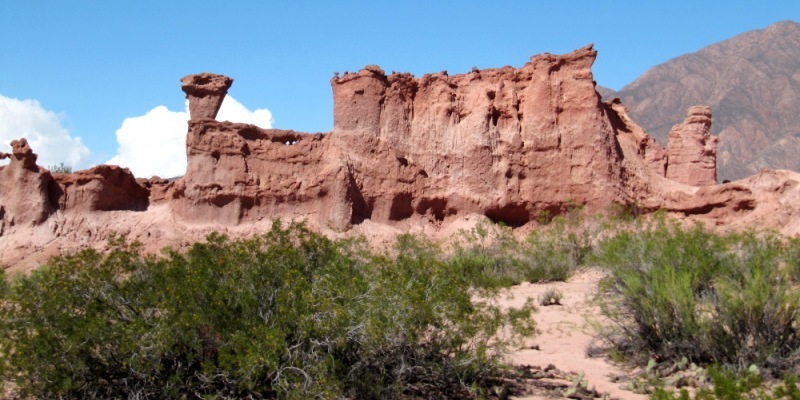 A series of arches in one area is called las ventanas (the windows). 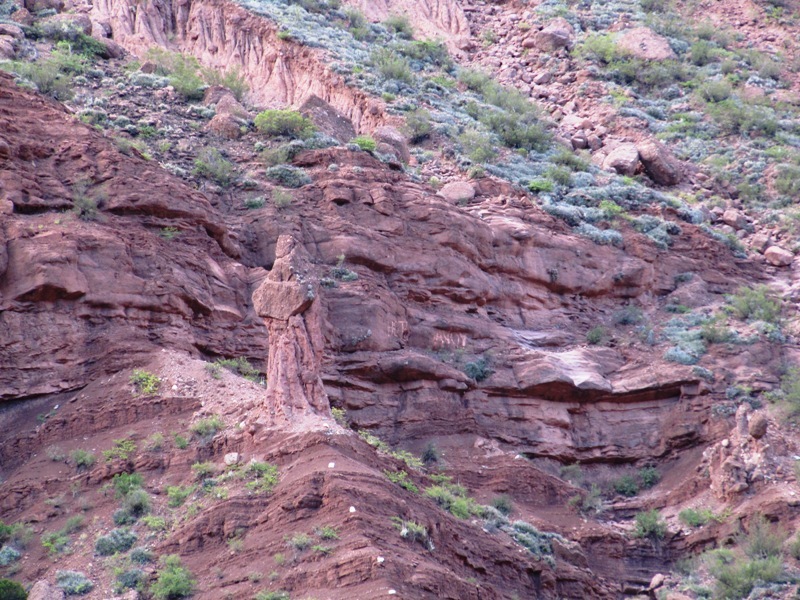 Another formation resembles a monk in robes and is called fraile (the friar). The colors and textures of the rock make a feast for the eyes. Striations of copper, sulfur, iron and zinc create rainbows of layered rock along the cliffs. 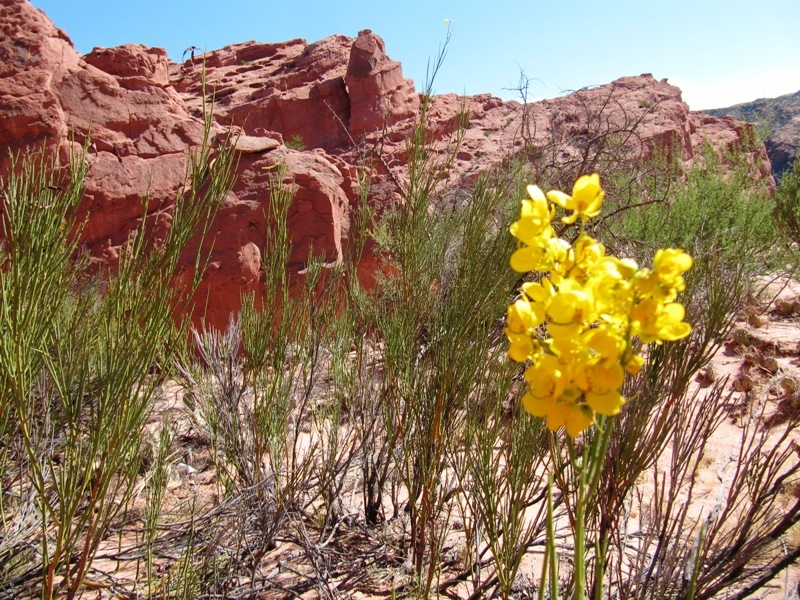 The desert is home to many spiny plants and animals. 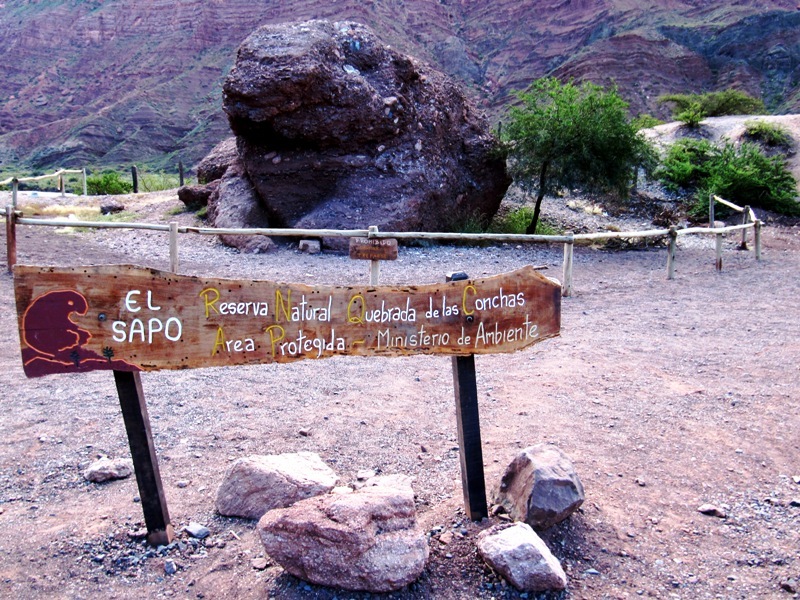 The canyon has a unique microclimate where it only rains a few days a year even though it rained everyday in January and February in Cafayate. 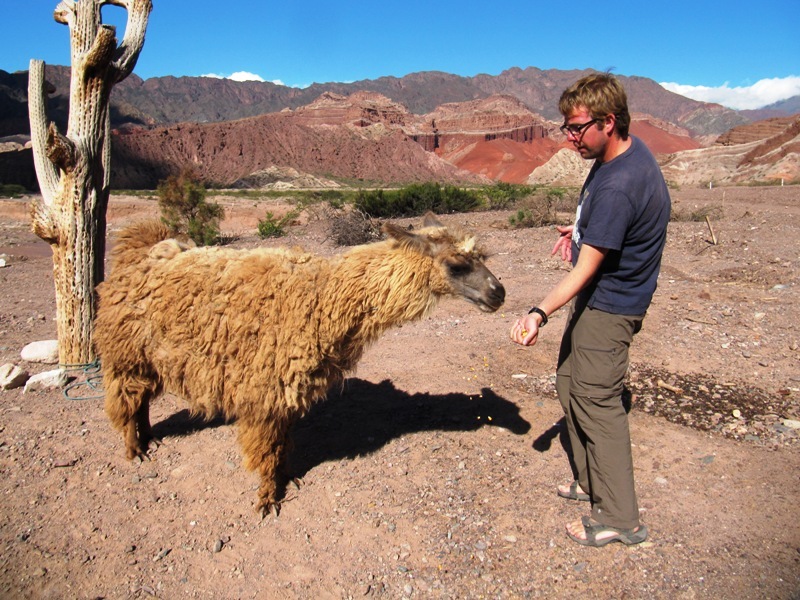 Further on we stopped for drinks and a chance to feed llamas. One of my favorite formations was el sapo (the toad). Another formation is perched on a cliff, el locomotivo (the train). The grand scale of the canyon is not fully felt or realized until we enter el anfiteatro (the amphitheater). Huge rivers flowed down the mountain side and created this 400ft deep bowl at the base of the waterfall. Plate tectonics have now shifted the mountains and diverged the flow of the river so that the rock formation remains dry. The cliffs are gorgeous, striped with colors and golden in the sun engulfing us as we stood, taking it all in. The name of this formation comes from the high quality of sound retention. 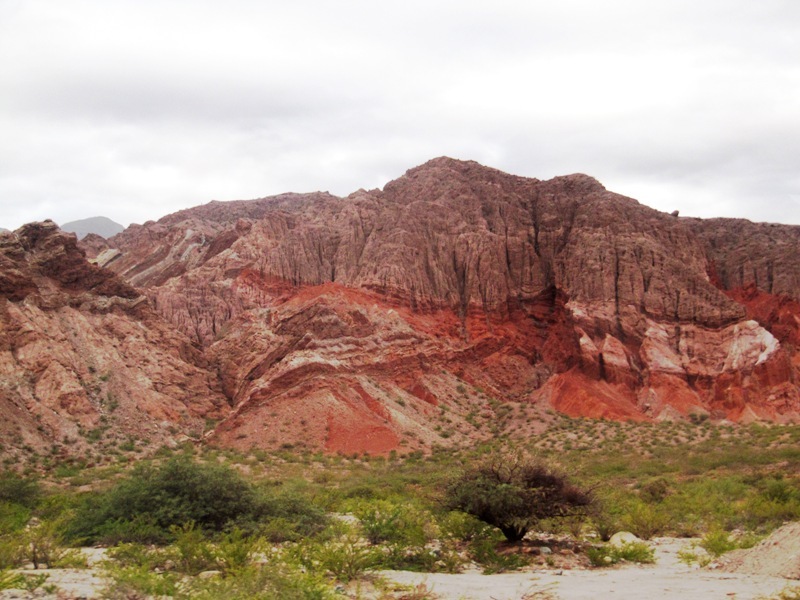 The next major attraction to the quebrada is gargantua del diablo (devil’s throat). I think it’s funny how names are reused. There has been at least five “mountain of seven colors” and Carmen described another gargantua in Iguazú. 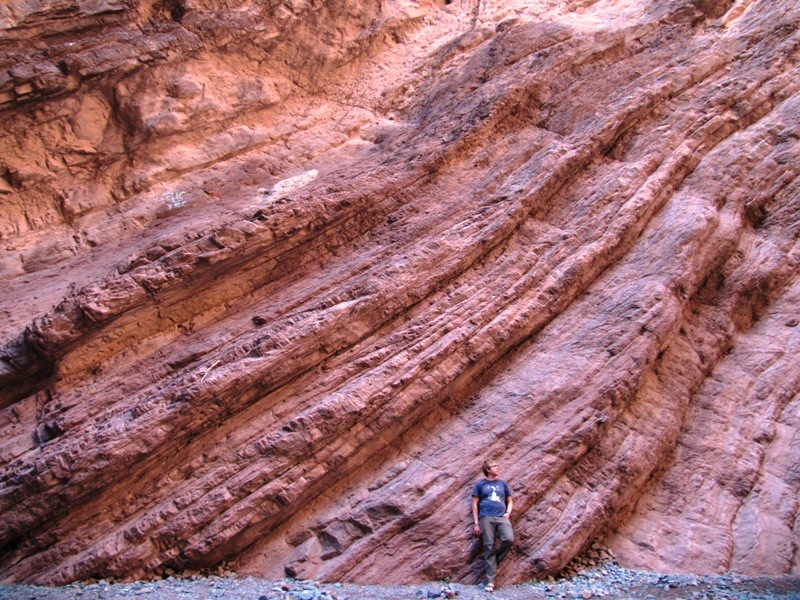 This formation is enormous! Its natural origins are similar to the anfiteatro but contain many levels of red rock and contrasted with perfectly green little trees. We had to do quite a bit of scrambling to get to the main bowl but it was well worth it. Two weeks ago, we were entering Mendoza and the bus felt so small in its attempt to cross through the Andes. 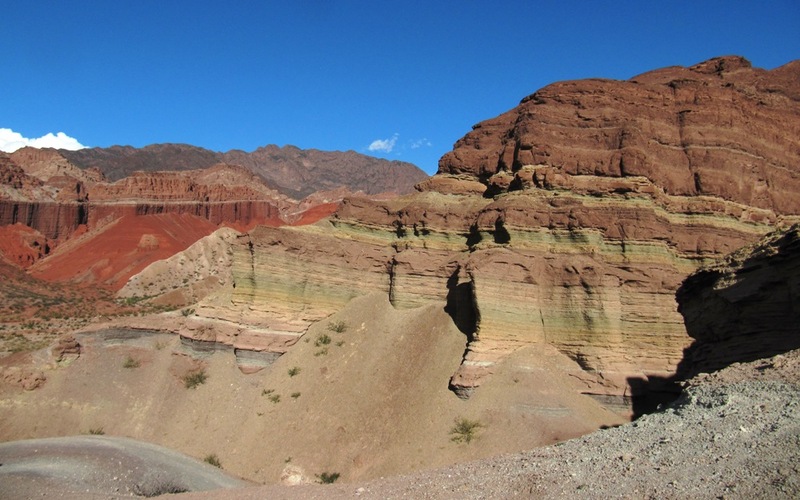 The highway to Salta has been a different experience of vibrant colors and imaginative land formations. 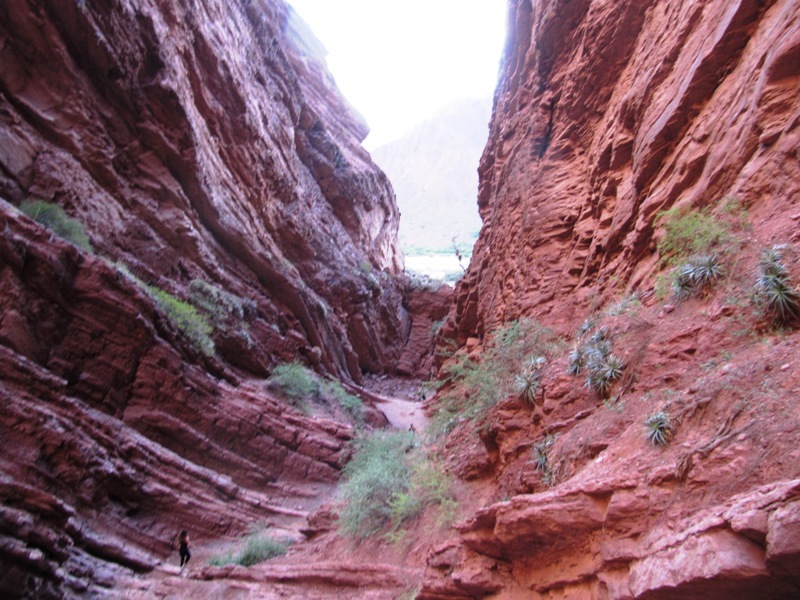 Goodbye to the Grand Canyon of Argentina.